Except as otherwise stated herein, all documents and images contained on this website are the exclusive property of Minsa You and Minsa YOU Photography: nome Ltd. The contents including the website itself are protected by the Copyright Law of Japan and International copyright laws, and may be used or quoted for your personal, noncommercial use only. No part of the contents may be reproduced, copied, displayed, published, modified or manipulated without prior consent. Please provide proper attribution when sharing this website or quoting extracts from this website. 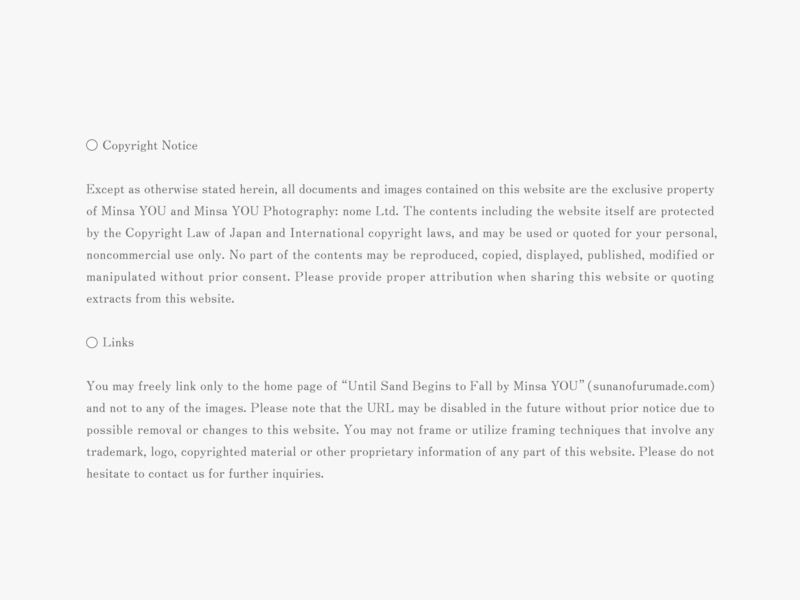 You may freely link only to the home page of "Until Sand Falls by Minsa You" (sunanofurumade.com) and not to any of the images. Please note that the URL may be disabled in the future without prior notice due to possible removal or changes to this website. You may not frame or utilize framing techniques that involve any trademark, logo, copyrighted material or other proprietary information of any part of this website. Please do not hesitate to contact us for further inquiries. All information provided on this website is subject to change or removal without prior notice. 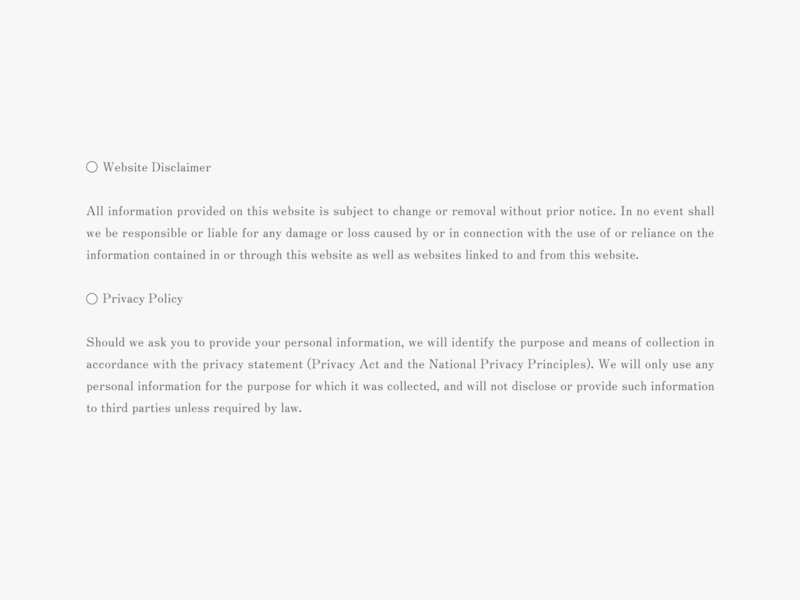 In no event shall we be responsible or liable for any damage or loss caused by or in connection with the use of or reliance on the information contained in or through this website as well as websites linked to and from this website. Should we ask you to provide your personal information, we will identify the purpose and means of collection in accordance with the privacy statement (Privacy Act and the National Privacy Principles). We will only use any personal information for the purpose for which it was collected, and will not disclose or provide such information to third parties unless required by law.